Ostrava really showed us it’s true ‘colours’ during our second weekend when we attended the Czech Republic’s largest music festival: Colours of Ostrava. Only half an hour commute from IT4Innovations the colours was four days long, starting on Thursday, and finishing on Sunday. A lot of famous bands and singers were performing most of which can be seen on the poster depicted to the left. On the first night we made friends with some people from Prague. They had plans to see their favourite Czech groups and invited us to join them. We were eager to hear new music and, I for one, could appreciate the charisma and charm of the music without understanding the lyrics. On the second day; Kasabian was a very memorable show. A personal highlight was when they did an unexpected cover of the Doors’ ‘When you’re Strange‘. “God bless you, Jim Morrison!” The third day we saw Rudimental and Clean Bandit. I also found some time to dance in the Jack Daniel’s whiskey bar. This was an outside bar in the style of mid 70s America. A large outdoor screen played classic music videos of the era and provided a perfect atmosphere for dancing…. And you guessed it, they only sell Jack Daniel’s there, every imaginable flavour- honey whiskey ‘mmhmm’. In the middle of the Colours of Ostrava music festival. One of the greatest aspects of colours is the location. To understand why, it is essential to first talk a bit about the history of the city. 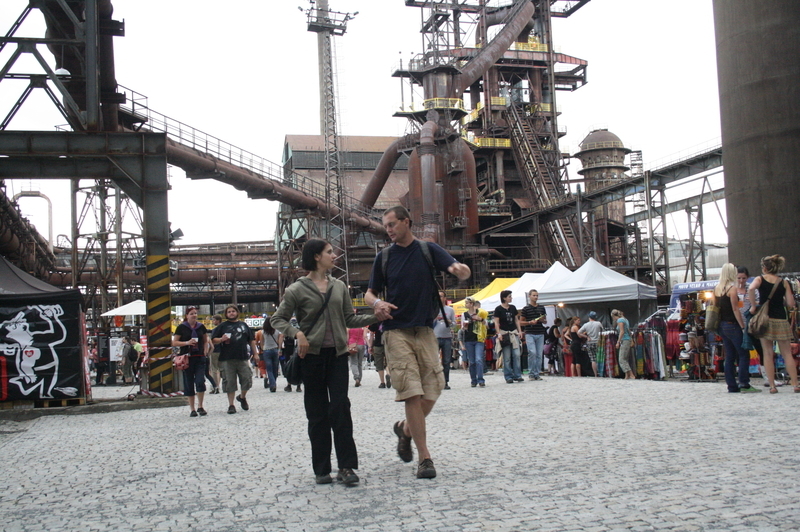 Ostrava expanded rapidly in size in the late 18th century when rich coal deposits were discovered nearby. For hundreds of years this city grew into a massive industrial district. Much of the industry died down in the last 100 years with the last of the coal mining ceasing in the city in 1994. Over time many museums have been established where mines once stood, preserving the history of the city. 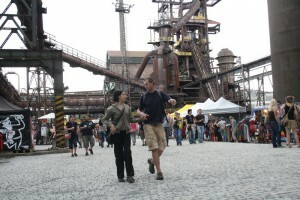 The festival is located in the heart of Ostrava on a European Heritage Protected Site where mines, iron and steel-works used to be located. No more need be said then ‘location location location’! 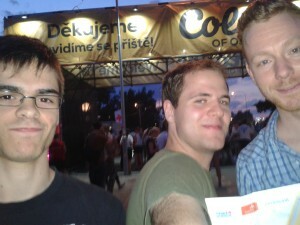 Finally, on the last day, Laszlo, Sergio and myself met our site coordinator at the festival with whom we went to see Tata Bojs, a Czech group. The groups passion was infectious as the lead singer had no fear to walk far into the crowd of screaming fans. He’s probably never seen the film ‘Misery’. The final act of the evening was Mika, who apparently, like myself has Lebanese roots. I may, or may not have, seen Mika on the Tram the day before the festival but that story shall be reserved for another blog post entitled ‘Mika, was it him?’. Which shall be followed by a second one ‘Mika, did he see me taking pictures of him between the seats?’. His show was fantastic. He was clearly on form and his energy electrified the stage. A light rain came as a refreshing finish to the show and we all went home smiling. The Colours of Ostrava was an excellent opportunity for us to meet people and make new friends, locally and internationally. I speak for all of us when I say that it was a fantastic and memorable festival. Except for Sergio who wishes to speak for himself “It was better than expected”.